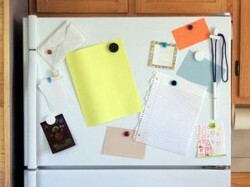 Planning an entire home makeover... a simple room makeover... or maybe just a DIY repair? Before you tackle the project yourself, check these helpful tips from homeowners who've been in your shoes! See the most important things to consider before you begin remodeling the bathroom, kitchen, basement, or garage. 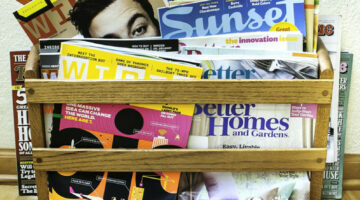 You'll find everything from tips for working with drywall & spackle to tips for removing wallpaper, plus home improvement projects that improve resale value. 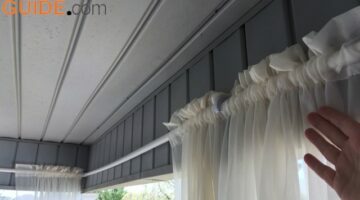 See how I made some really inexpensive PVC pipe curtain rods to hold long, sheer porch curtains for around $15. After getting all the supplies at Lowe’s, I was able to measure, cut, and install the outdoor curtain rods and hang the curtain panels on my front porch in about 1 hour myself. They are holding up perfectly (even after storms and heavy gusts of wind). And they look great! Moving into a new house? You’re going to need some basic tools for small home projects! Here’s the list of tools that I recommend. They’re the ones I’ve used the most — after moving into my first home. This home tool kit list is my housewarming gift to you. Some things to think about when it comes to building an attached garage vs an unattached garage. 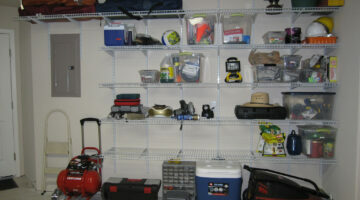 Plus some ideas for finishing your garage (as opposed to leaving it unfinished) and choosing the best garage organization system for all of your stuff. 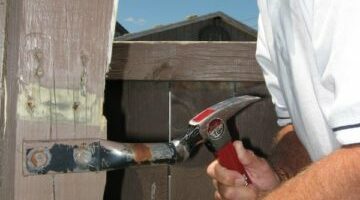 If you’re about to undertake your first DIY project that involves installing or replacing drywall, then your biggest question is probably which of these you should be using: Spackle or Joint Compound. Here’s what you need to know about how to fix drywall using those 2 materials. Here are the best modern home wallpapering tips for the do-it-yourself who has a sense of style! Tankless water heaters cost 3 times more than conventional hot water heaters to buy and install, so you’re probably wondering if they are really worth it or not. Following are the pros & cons and details about the cost and installation of tankless water heaters.